Chaztoursandcarhire has been offering car hire services to international clients for quite a period. The well-maintained fleet of vehicles is renewed every three years to ensure that the client gets the very best. For chauffeur services we have brought together a team of experienced English and French-speaking tour guide drivers. So remember that when you book a vehicle with Chaztoursandcarhire you are with the experts. 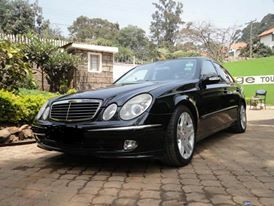 Our cars can also be taken across the borders to Uganda and Tanzania. 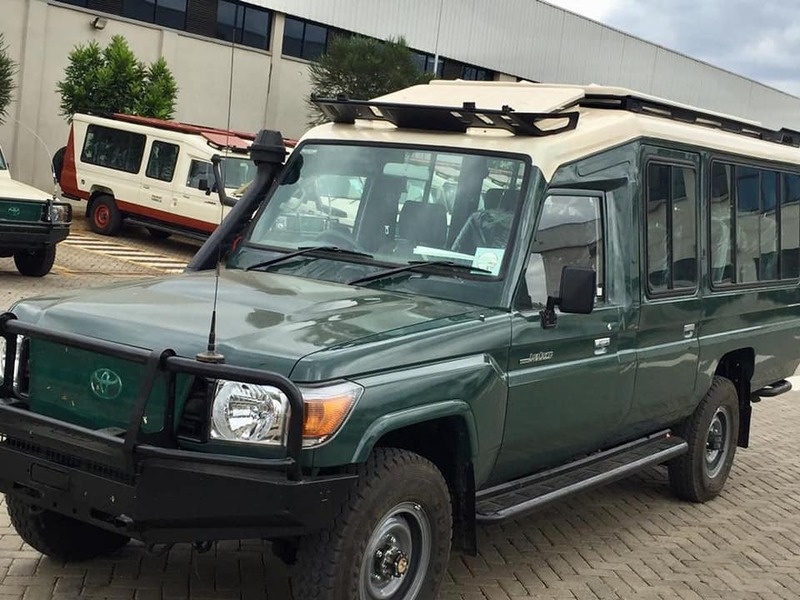 We offer car hire services to our esteemed clients who prefer to use a private car for tours and safaris can hire a vehicle from us at very competitive rates. We have a wide range of vehicles that can withstand all terrain. Vehicles include mini-vans with top hatch for easy game viewing, 4 x 4 all terrain vehicles and mini buses for groups. 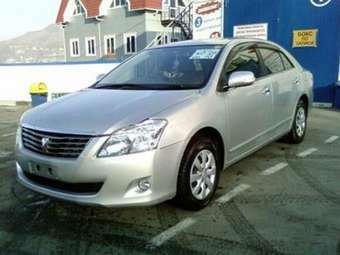 Saloon cars for short or long term hire while in Nairobi, Kenya. Please note you are required to have a valid international driving license to hire a vehicle. The hirer must be a holder of a valid license. Aged 25 years and above but not beyond 70 years. Payments can be made in cash, travelers cheques or in foreign currency. Special cars Special types of vehicles are available at competitive rates. Security: Hirers are bound to take good car of their personal effects at all times because theft insurance is not included. The hired vehicles at no time should they be left unattended in public areas. Any cancellation will lead to 50% penalty of the paid amount. The Hirer's liability for damage to the vehicle is automatically covered subject to the terms and conditions of the car hire contract. Damage to tyres, windscreen and underneath of the vehicle is not covered. Excess waiver is available for certain vehicles. This insurance cover protects the hirer/driver of having to pay any excess fees brought about by damage and /or loss to the vehicle. This is a fully refundable deposit which covers any damage to the hired vehicle during the period of hire. The hirer will be refunded the full excess deposit in cash upon return of the vehicle in the same condition as collected at the commencement of the hire. Chauffeur services will be charged at US$ 20 per day inclusive of meals within Nairobi or Mombasa, between 06:00 hrs to 19:00hrs. Overtime will be charged at US$ 10 for the next 5 hours till 00:00 hrs. Chauffeur services will be charged at US $ 25 per day inclusive of meals and accommodation, for all other places in Kenya between 06:00 hrs to 19:00hrs. Overtime will be charged at US$ 8 for the next 5 hours till 00:00 hrs. In order to hire a vehicle, you must be between ages of 23 and 70 years of age and be a holder of a valid international driver's permit for the past 2 years and have no endorsements. A copy of your passport, driving license, full contact details and a full advance payment for the period of hire will be required before or on collection of vehicle. Additional cash deposit may be required under certain special circumstances. Driving licence (both parts for customers with a UK driving licence). Passport, plus one other form of I.D. (utility bill). It will not always be necessary to produce additional I.D. However, we recommend that you are fully prepared to avoid disappointment. Upon arrival at your destination, your vehicle should be readily available for rent. We aim to ensure that all vehicles are both cosmetically and mechanically sound. However, on the rare occasion that these standards are not met, please ensure that you advise a member of staff. This will enable them to address the situation prior to you leaving the location. You will also be given a Pre-rental inspection form, which you are required to sign. This document should detail any minor scratches/dents that may already be present on the vehicle. It is very important that you check the vehicle prior to acceptance and highlight any damage that has not already been noted on the form. You should be aware that if any new damage is found upon return of the vehicle, you (the customer) are held liable. Be between the ages of 23 and 70 years of age. Have a valid international drivers license along with a drivers license issued in client's home country. Have been driving for at least a period of two years. A refundable security deposit of US $1000.00 will be charged for any car hire. Must have a credit card with an expiry date of one year from date of rental with enough credit limits to cover the cost of the car hire in Kenya, Tanzania and Zanzibar. Rental car in Kenya, Tanzania and Zanzibar will include Unlimited Mileage and Collision Damage Waiver (CDW), covered subject to the terms and conditions of the rental agreement. Damage to tires, windscreen and anything underneath the vehicle is not covered. Like elsewhere around the world, it is the explicit responsibility of the person renting the vehicle to read and be aware of rental agreement. Theft Protection Cover (TPC) is not included in the cost of the rental. If purchased at an additional cost, the hirer's liability for loss of the vehicle or any part thereof is covered subject to the terms and conditions of the rental agreement. Vehicle should be returned in the same condition it was during pick up. Rates are expressed in quoted currency (US Dollars ) exclude fuel and are subject to change without notice. The company reserves the right to amend/refuse/terminate hires. Good Mechanical and Physical Conditions. Limited or Unlimited Mileage Depending on Availability. Related Road Levies & State Taxes. 24-Hour Emergency Cellular Contact Details. Personalized Pickup and Drop-off Service costs. Personal Insurance, Medical Insurance or Travelers Insurance, or Any Other Kind of Insurance Not Included With The Vehicle Rental. 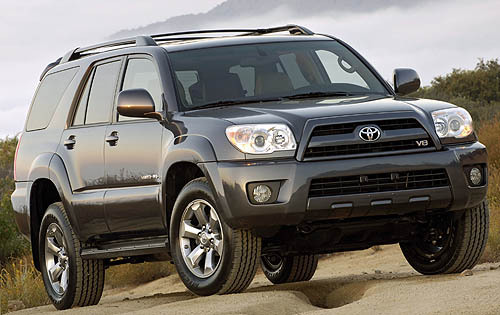 A car hired in Kenya or Tanzania can be driven to Tanzania or Kenya. Clients will need to have the appropriate documents processed ahead of time to allow the entry of the vehicle into the neighboring country. Appropriate charges will be assessed for processing the paperwork. If visiting guests are unfamiliar with Kenya or Tanzania but would prefer to tour the country on their own, professional chauffeur services are available and are highly recommended. Many guests often spend valuable time trying to figure out the routes and directions, which can sometimes be very frustrating. Professional chauffeur services are available to personally assist guests during the tour of Kenya and Tanzania.